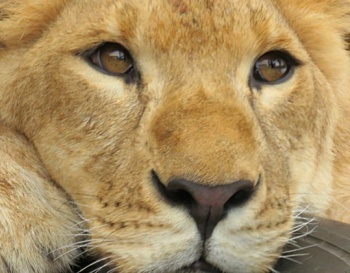 Help Feed & Care for Rescued Lions! YOU, the Freekibble community, helped fly 33 lions from illegal circuses to freedom! They were severely neglected & abused but are now roaming free & living in peace at a sanctuary in South Africa. They need our help again! You helped us fly them to freedom, please consider helping feed & care for them while they live out their lives as lions should! Please help! Just $12.50 feeds 1 lion for a full day!